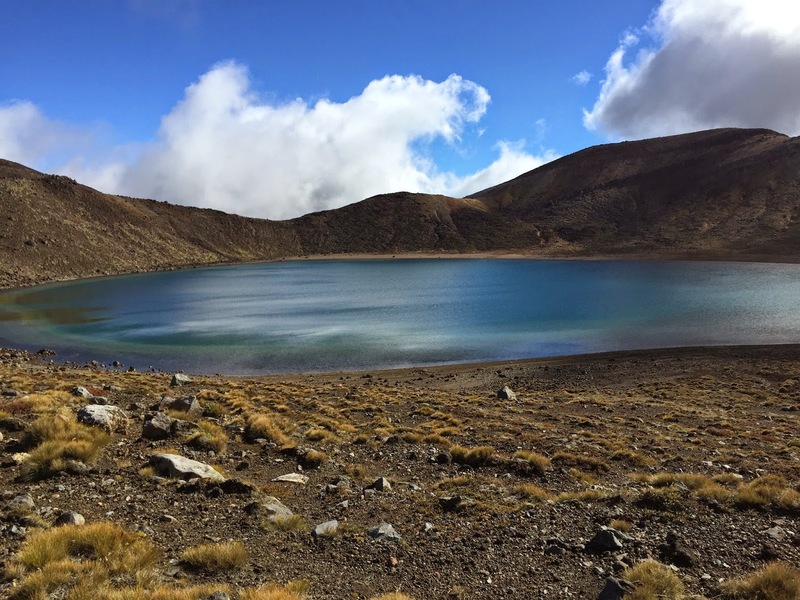 I'm so excited to tell you guys about one of the highlights of our trip.... hiking the Tongariro Alpine Crossing! It's a 20k hike and it's been called "New Zealand's Best Day Hike" - and I have to agree. It was definitely a hard day, but I'm so glad we did it! The night before the hike, we stayed at Discovery Lodge because of their great proximity to the hike (Tongariro is kind of in the middle of nowhere), and the fact that they had a shuttle service available. You can park at the start and arrange a shuttle to bring you back at the end, but we opted for round trip from the hotel. It was seamless and I'm really glad we chose this shuttle service! The Discovery Lodge shuttle offered pick ups every hour for 5 hours, which gives you plenty of options to go at your own pace. Not to mention, we were dropped off early, which meant we were done earlier than most! Also, please note that the Crossing will be closed if the weather is unsuitable (they won't close for a little rain or snow, but any heavy rain or winds can shut it down), so know that if you only have 1 day carved out for this hike, you may have to skip it if the trail is closed. They actually did not open the Crossing for the 4 days prior to our hike due to weather... but we were lucky with a really beautiful day! We started before the sun, which sounds terrible but was actually quite beautiful. If you do this, I would suggest a head lamp or flash light. It was only dark for about 30 minutes, but this may vary depending on the time of year you visit. - 2-3 water bottles per person. Better to error on the side of caution, as there is nowhere to refill your bottle. We used a Camel Back each and brought an extra water bottle and it was great. - Easy snacks. Think nuts, dried fruit, granola bars, or a PB&J. And make sure you fuel up with a good breakfast! - Tissues & hand sanitizer. There are only 2 port-o-potty stops on the trail, both of which were DISGUSTING in my opinion. I'd rather pee in the woods any day! But even if you use the "facilities", there is no TP - so make sure you bring your own. And hand sanitizer, because there are no sinks! - A small day pack to carry all of this, plus the ability to de-layer if needed. - Hiking poles are optional. We each used one, and I was thankful to have them for extra balance on the narrow, steep sections. I think you can do this hike without them, but it wouldn't hurt to bring one. The first hour of the hike is very flat. You are working your way UP, but it's very gradual. Once you hit the first (of TWO) port-o-potty stops, you'll start really making the trek up hill. This was at the first summit. I would say this was one of the hardest parts of the hike! Behind us is Mt Ngauruhoe, but LOTR fans might recognize it as Mt Doom. Another LOTR note (I found this on the Tongariro Crossing website) is much of Frodo and Sam's journey into the land of Sauron was filmed on and around the Tongariro National Park. So that's cool! I'm not super familiar with the films, but it was fun to see. The vegetation changed so much throughout the hike! As you can see from the progression of these photos, it was constantly changing. The Alpine crossing features three big lakes: the blue & green lakes seen above (known as the Emerald Lakes) and the Crater Lake. This section was very up & down, but the lakes were so beautiful! Because they're separate, different minerals make them the distinctive blue & green colors. I've never seen anything like it. I know you're thinking how great our outfits look - but I could care less, because we layered PERFECTLY! I talked a little bit about gear here, and that's exactly what I wore. Running leggings topped with wind/water proof pants. A sports bra, work out tank, running shirt (short sleeved), and long sleeved, PLUS a wind breaker. This sounds extreme, but so were the temperatures - when we started it was about 30 degrees, and after a couple of hours I was down to the tank top! We layered down and up several times when cloud cover, wind, or sun could change. We were lucky to avoid rain, but you never know - so no matter what time you take on the Crossing, I'd be sure to have a waterproof jacket at the very least. For the love of everything, PLEASE wear athletic gear. You don't need technical gear (I wore regular running shoes and was fine), but you do need to be able to move. I saw one guy in Tevas and another guy in JEANS. On a 20 kilometer hike. I have a feeling these were regrettable later. It's also best to avoid cotton if possible, because it doesn't wick sweat. With constant temperature changes, you might become quite cold. Choose dry fit style tops & pants. These don't have to be Lululemons or North Face style brands, they have awesome moisture wicking athletic clothing at Target and TJ Maxx. Please, just promise you'll wear athletic clothing! Optional but helpful would also be a beanie, gloves, and wool socks. I wore them, but depending on your weather, you might consider bringing them along. 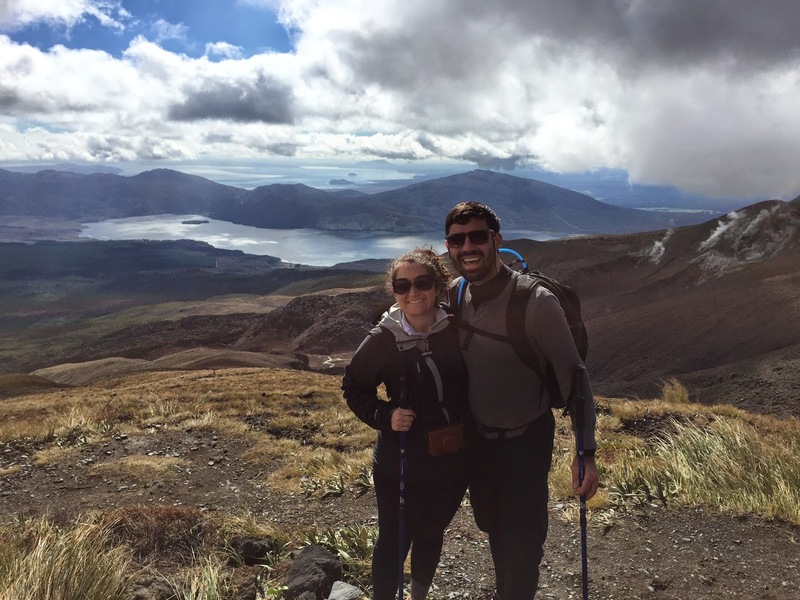 Have you ever been on the Tongariro Alpine Crossing? Are you interested in going? Let me know if there are any questions I can answer for you in the comments! You'll be hearing my take on this Wonderful Wine Island Paradise very soon, but I enjoyed seeing someone else's perspective! How GORGEOUS are these vintage travel photos? If this book wasn't $400, it'd be on its way to my house. WHY DON'T MORE AIRPORTS DO THIS? Proof that we're living in the future. Love these travel hacks! Never thought of #1, embarrassingly I've done #2 (with a snowboarding jacket), and I LIVE by #4, #5, and #10! Know what you're getting into by choosing "Economy Plus" style seating on a flight. What you're getting for how much cash. Eye Candy Alert: 12 gorgeous streets around Europe. Interesting article on travel selfies. Personal opinion? I've done them when traveling solo, but always tried to swap with other solo travelers when possible ("Can I take that for you? And would you mind taking one for me?"). Also, my new solution to taking photos with nobody around! Advisory if you're traveling to Mexico anytime soon. I still really want to go to Maine.